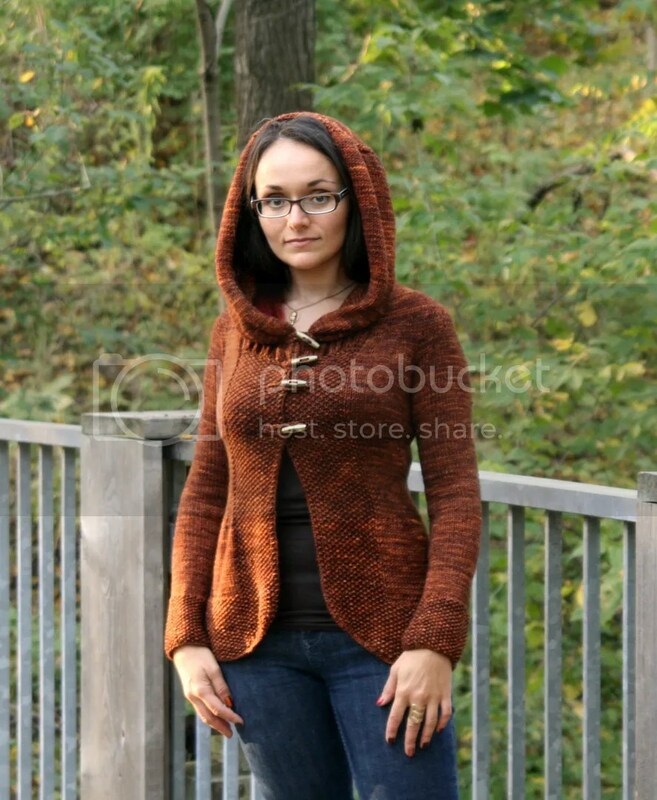 From the Hinterland: Autumn collection, there’s nothing better than a hooded sweater in the autumn! Paridae is a comfortable, cozy sweater that wraps you in warmth, with sleeves long enough to pull over your fingers when sipping that hot apple cider, and a hood generous enough to keep your head and shoulders warm without the dreaded hat-hair. Knit from the bottom up, the sleeves are attached at the yoke, with decreases leading up to the hood making this a practically seamless sweater!